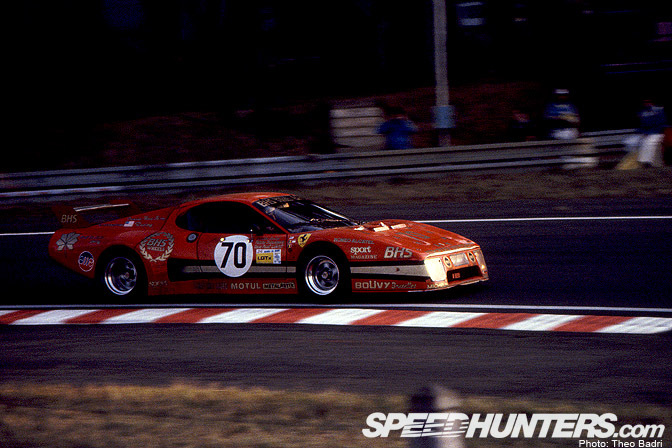 Ok enough drift articles for the moment… the big event this weekend is the Le Mans 24HRs which starts tomorrow morning. As I don’t own a television, I’m going to be getting up at 05:30 to head over to a buddy’s apartment to watch the first few hours of the race. I should then hopefully be able to stream video and/or audio from the rest of the event at home. We’ll see how it goes, but last year I managed to watch 18 of the 24 hours…. I hope some of you are inspired to at least watch the opening few hours of the race! 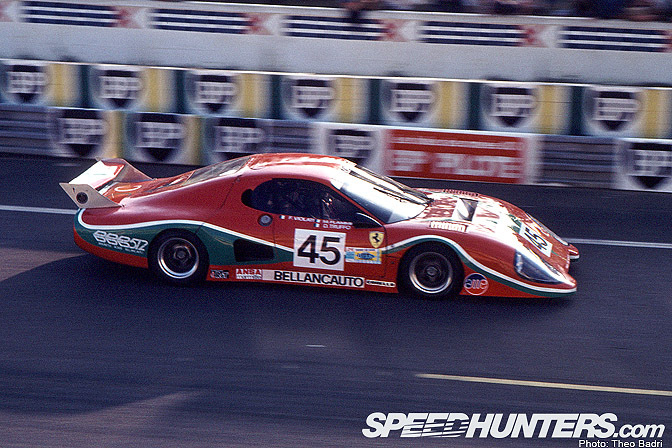 Now as we are focusing a little bit on Exotic cars this month, I thought it fitting to put together a gallery of Ferrari 512BB LMs from Le Mans ’81 and ’82. 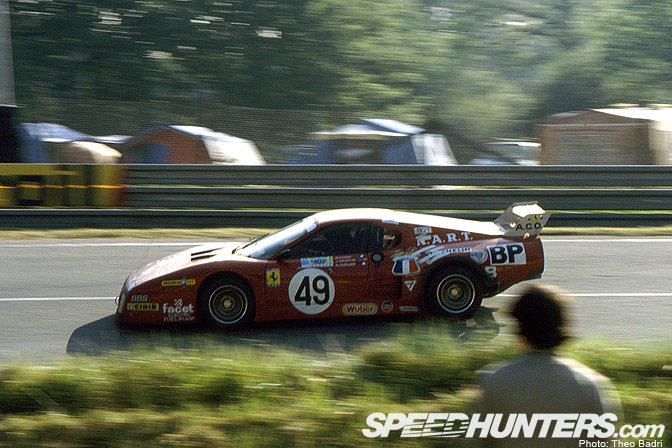 Our long term readers will know that I have access to a special archive of Le Mans photos from the photographer Theo Badri. So I did a sift this afternoon and came up with this set of vintage snaps. 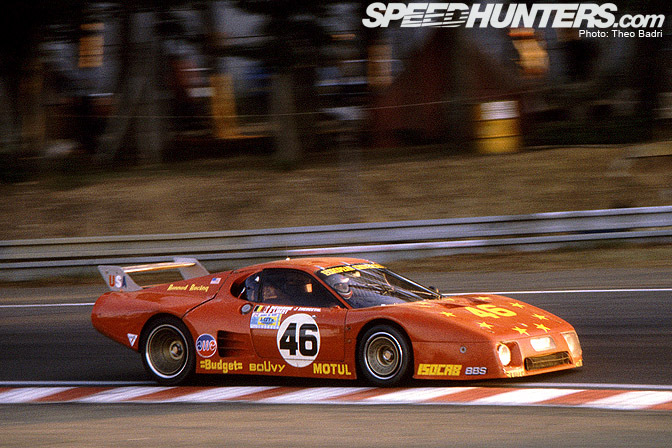 The 512BB LM was built by the Ferrari factory for privateer teams to enter into the Group 5 racing category of the late 1970s and early 1980s. 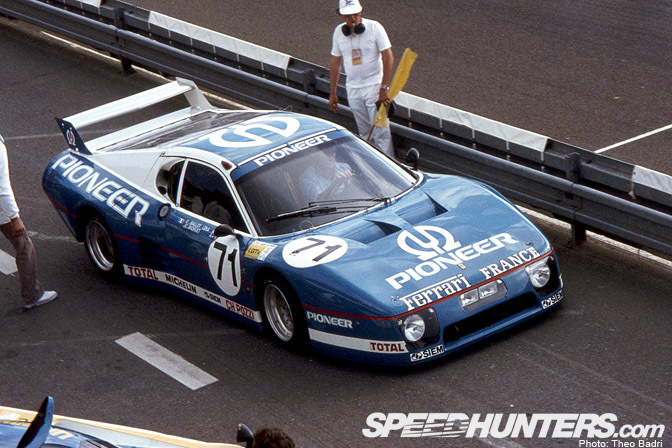 Although rather elegant and pretty with it’s Pininfarinia long tail chassis, the 500 bhp car was no match for the might of the Porsche 935. 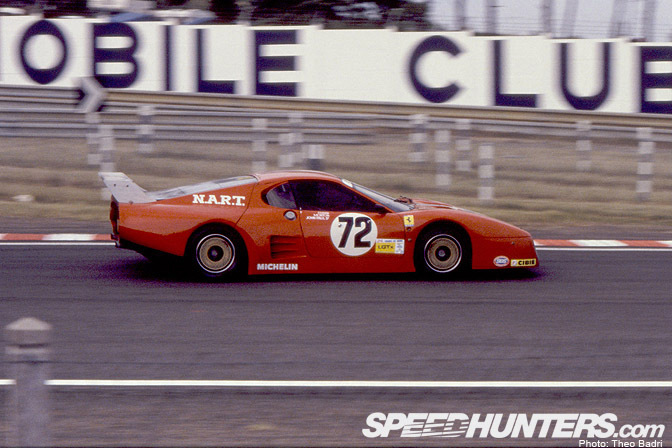 The N.A.R.T entered American car didn’t fair nearly as well and scored a DNF that year. 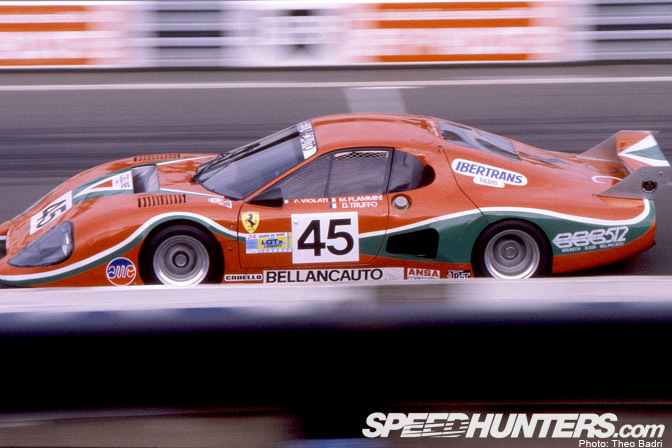 This car is known as the 512 BBB LM and features custom long nose and tail bodywork. No doubt the builders were trying to turn the car into a streamliner of sorts… I’m not sure how successful the result was though. It looks like a fish! 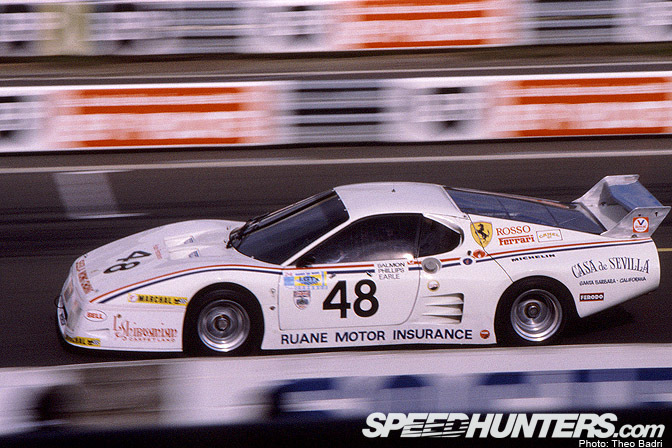 Number 48 was was entered into the 1981 Le Mans race by the Brit Simon Phillips. 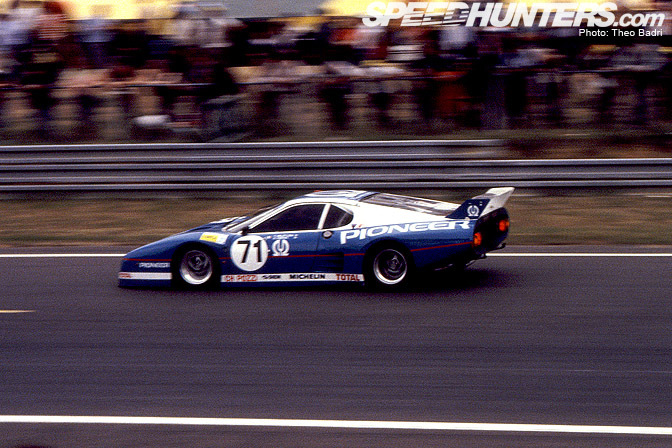 The team also score a non-finish that year. I wonder what the “Sheila Wong Chong” logo refers to! 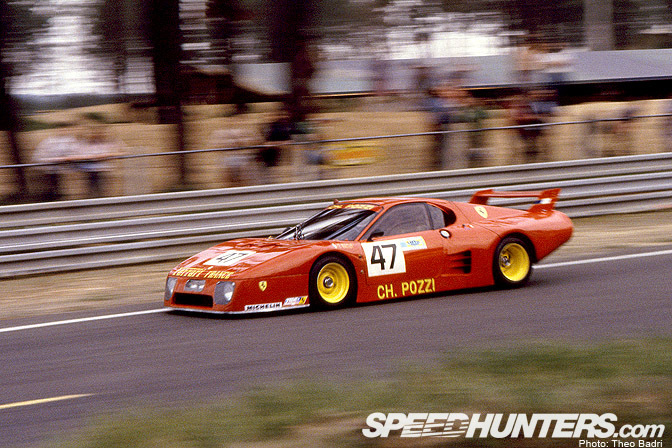 It’s a very pretty race car. A few of these machines do show up at vintage events from time to time, although I have yet to see one in the flesh. 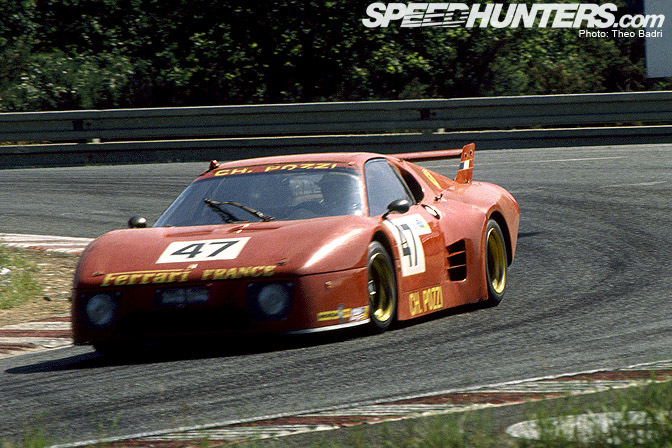 Moving on to my selection of 1982 pictures…. 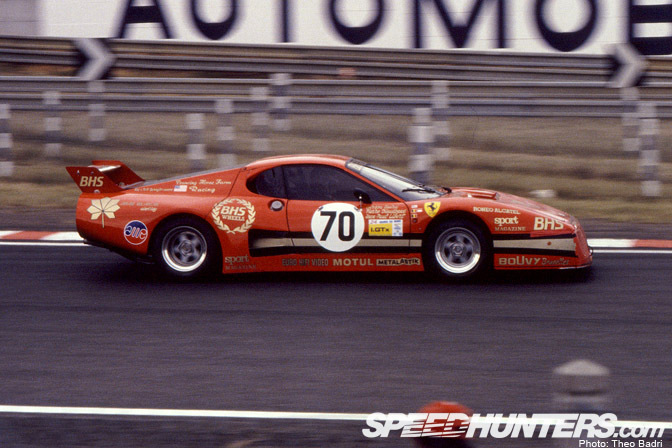 The top placed Ferrari that year was this example entered by “Prancing Horse Farm Racing”. 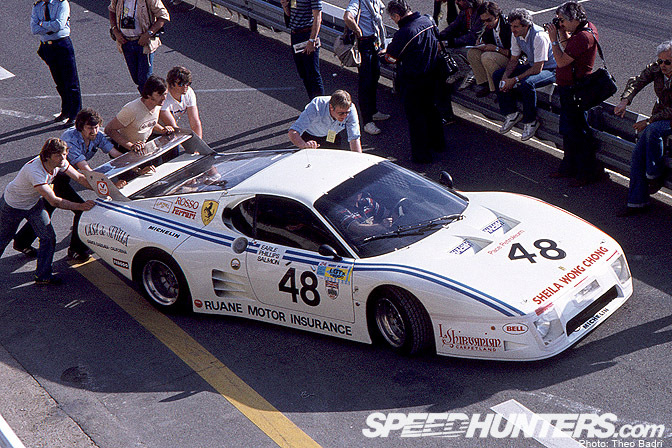 They managed sixth overall and third in the IMSA GTX class behind two Porsche 935s. It’s not bad considering the car was giving away several hundred horsepower to the turbocharged Porsches. 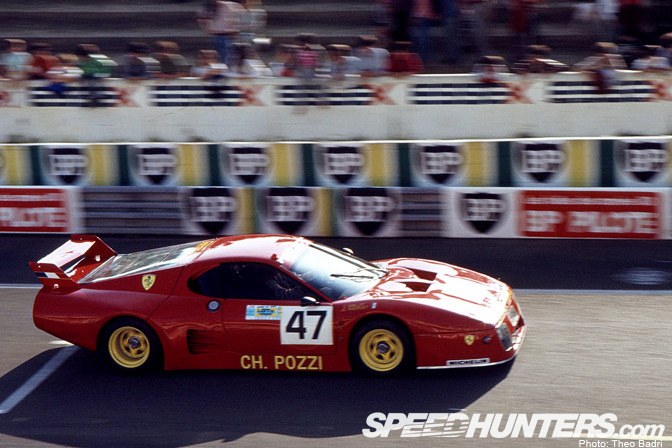 This particular 512BB LM is a particular favourite of mine. 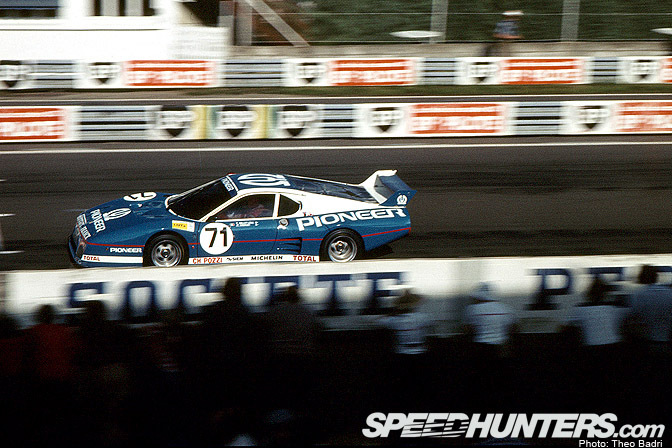 I have a 1/43 scale model of this car in my Group 5 die cast collection. 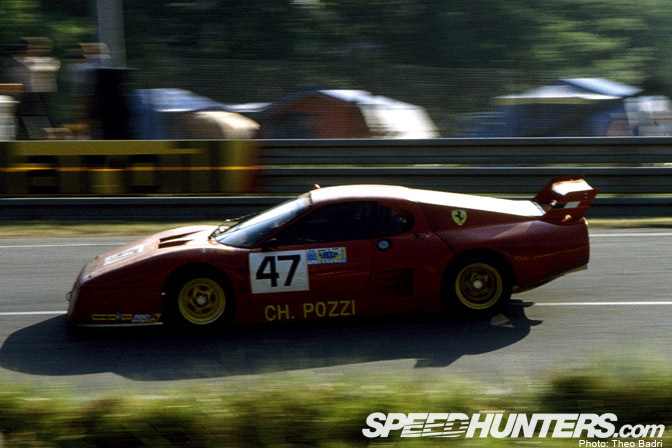 Unfortunately the car failed to finish that the race that year. 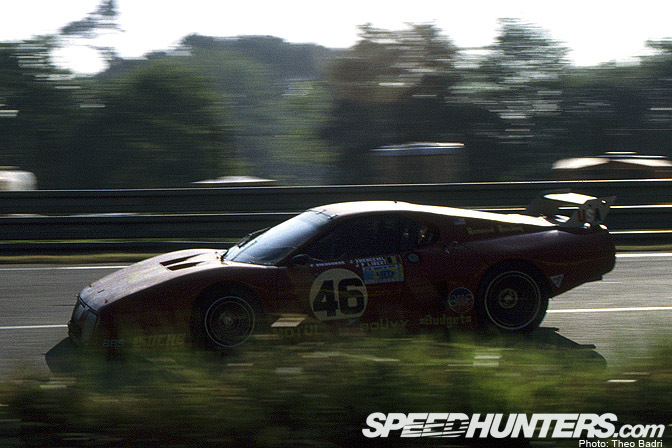 Oh well… we can still marvel at the fantastic silhouette… there is a bit of the F40 in there don’t you think? 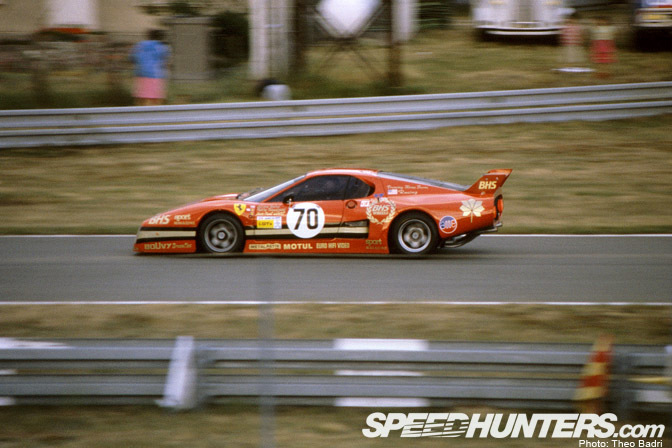 The number 72 N.A.R.T racing Ferrari finished a respectable 9th overall and 4th in the IMSA GTX class. 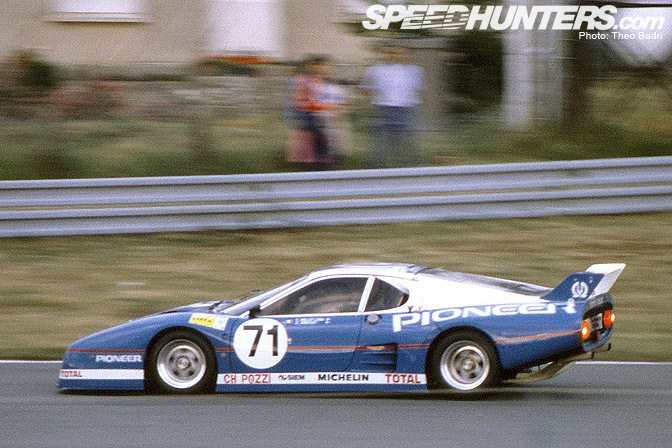 Here the car exits Arnage on the Sunday morning of the race… the car had already survived the night by the time this picture was shot. 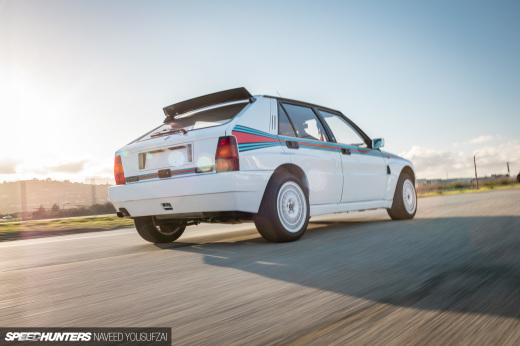 Ok that’s it from me for today…. don’t forget to watch the race tomorrow! 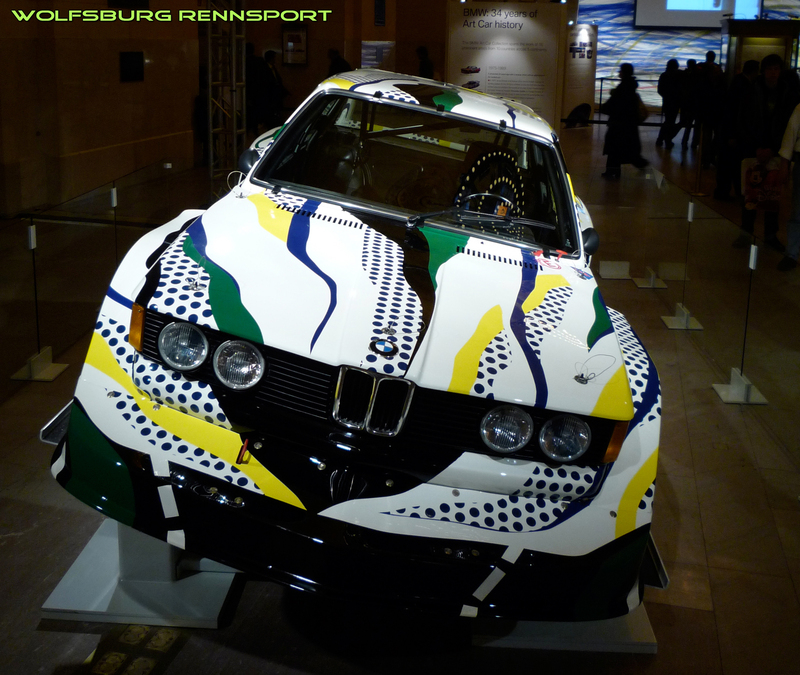 My favorite group 5 car is the BMW 320i Art car...I plan on building a replica "one of these days.."
I hope you guys continue the Le Mans posts all this month...the back catalog of pictures that you have access too is absolutely fantastic! 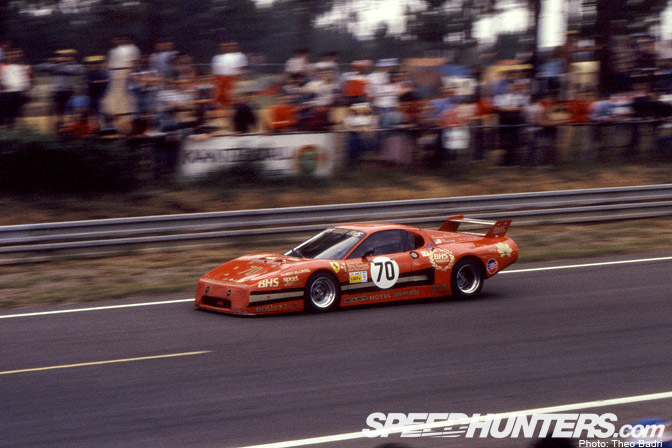 My favorite group 5 car is Glenn Bunch's 1974 Dodge Challenger R/T that he ran in 1978 and 1979. It has a hemi in it I think is 572 C. I. 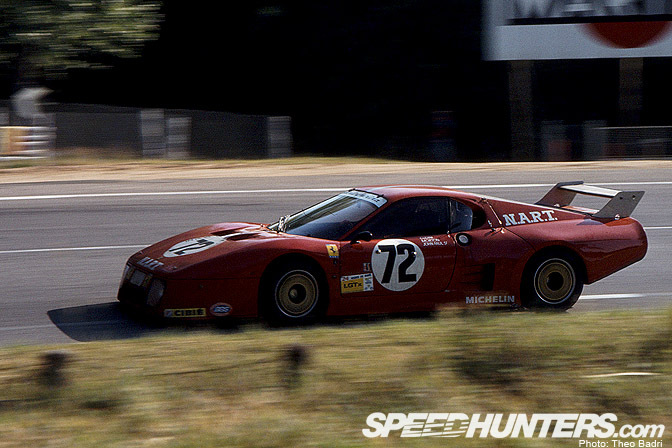 He never ran it in any big races but he did win one class win in the AMGT. He stills races it and has in car video on at http://www.glennbunch.com if you want to see. 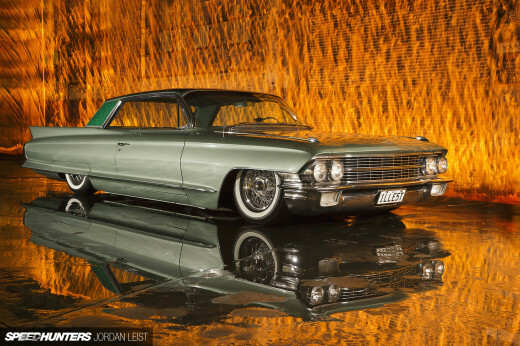 I think it would be a cool car to have on the site, yes I'm talking to you Rod, ha ha. Like always keep up the good work guys. BOOOOSH! Is anyone aware of online video access to this year's race? Thanks! I saw one for the first time two days ago, will take pictures, impressive in person! Peugeot 905 group c car and the mighty 787b are my favorites. 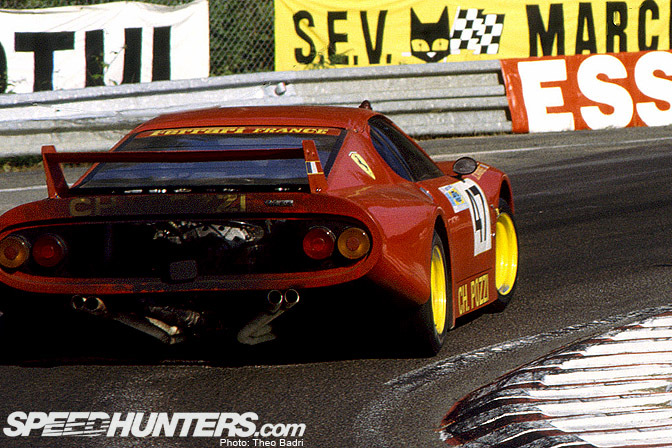 I never like ferrari but this looks to sweet. 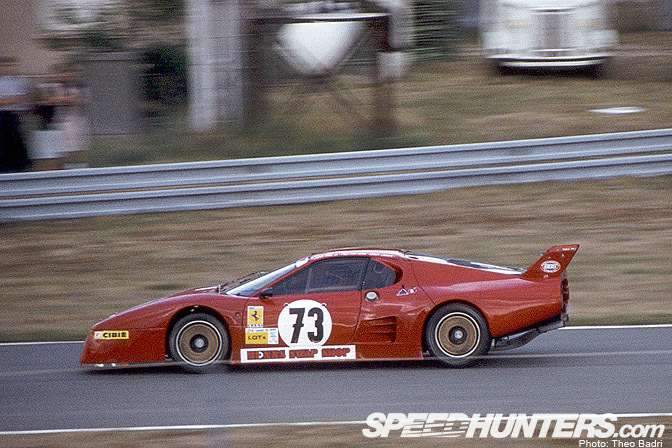 Man that thing is ugly for a Ferrari. cool artificial. 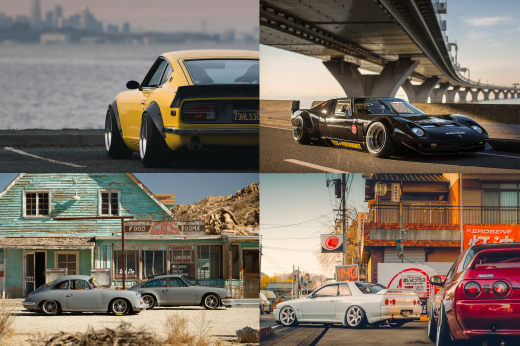 cool pics. nice one man!